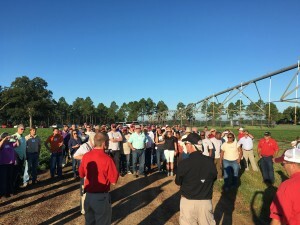 T he first stop on the Georgia Peanut Tour for Thursday morning featured the Grimes family farm in Tifton, Ga. Philip and Andrew Grimes visited with attendees about their family farm. Both Philip and Andrew have been honored with awards through the years for their efficient production of peanuts and farming in general. A meticulous, high-yield crop farmer, Philip is admired as one of the best farmers in South Georgia. 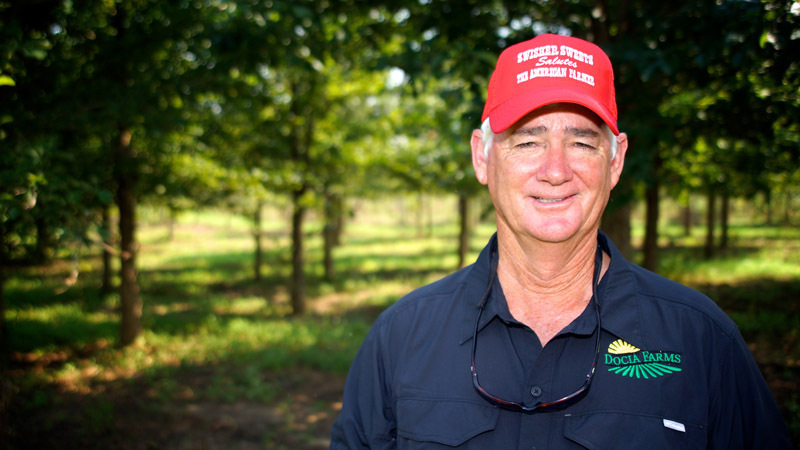 He has been recognized on the state level for producing high peanut yields for more than 20 consecutive years. A conservation farmer, he uses cover crops and has installed grassed waterways, terraces, and ponds on his land. Grimes has farmed for 37 years. He grows peanuts, cotton, cantaloupes, broccoli, snap beans and corn on his 2,210-acre farm. As a result of his high peanut yields, he has been a longtime member of the Georgia Peanut Achievement Club. 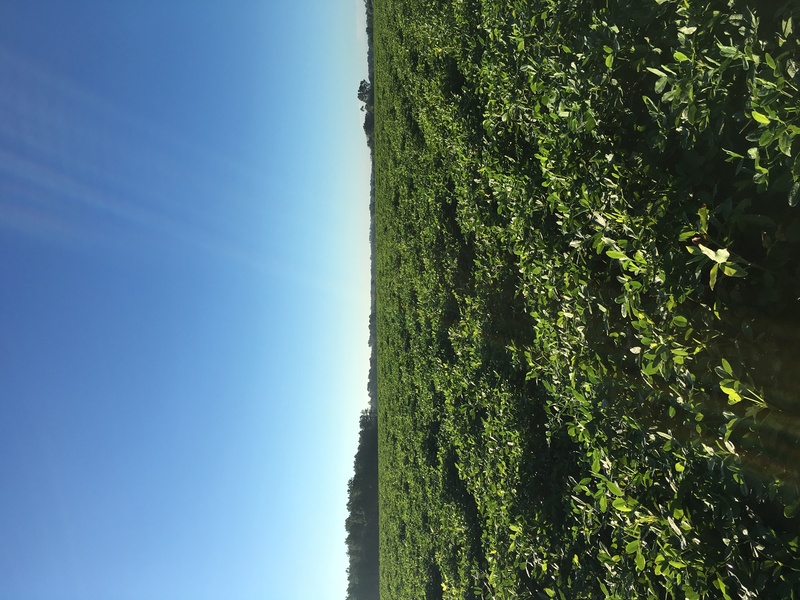 He also raises high-yield cotton, and his produce crops are consistently high in quality. He plants a portion of his land specifically to attract wildlife. As a result of his success as crop farmer, Grimes was selected as the 2014 Georgia winner of the Swisher Sweets/Sunbelt Expo Southeastern Farmer of the Year award and named the overall winner during the 2014 Sunbelt Ag Expo. He was chosen Farmer of the Year over nine other state winners who were finalists for the award. 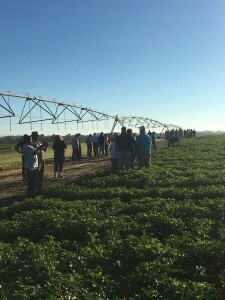 His irrigated per acre yields include 6,440 pounds of peanuts from 660 acres, 1,405 pounds of cotton from 890 acres, 6,500 cantaloupes from 360 acres, 600 boxes of broccoli from 90 acres, 8,500 pounds of snap beans from 105 acres and 265 bushels of corn from 100 acres. Grimes keeps detailed farming records, and has since he began farming. “I have records on planting dates, yields, rotations, sprays, varieties, fertilizers, and I note what works and what doesn’t work,” Grimes says. “I know the fields I farm well, for instance, which ones need more potassium fertilizer,” he adds. Splitting fertilizer applications is just one practice he uses that pays off, especially during years when heavy rains can leach fertility from the root zone. 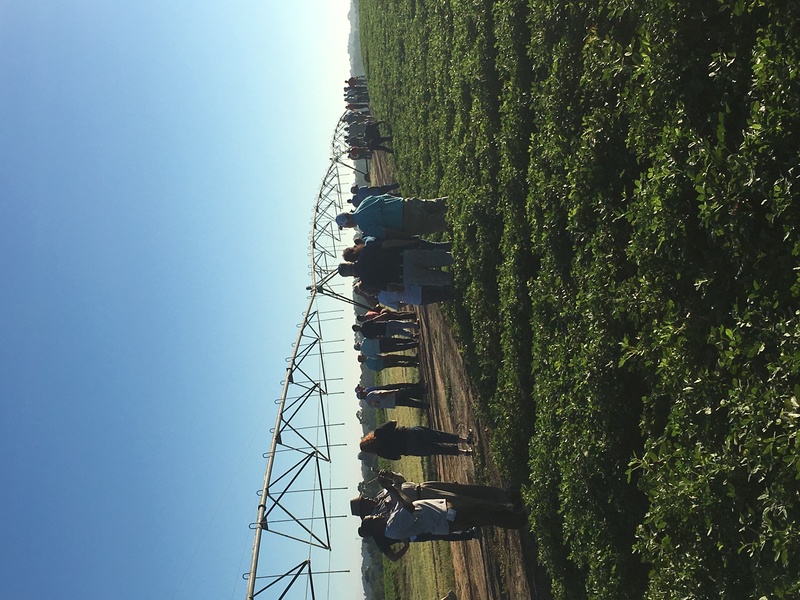 His farm has 45 center pivots for irrigation, and he has ponds holding some 150 acres of water. He also uses global positioning guidance on his tractors. “This innovation has improved our planting and harvesting,” he adds. His farm benefits from extensive cover crops. He especially likes rye as a cover. “Soil fertility is often higher after rye,” Grimes says. He also notes that following crops put out roots that follow the same channels in the soil established by the rye roots. He has invested in a peanut shelling plant and buying point, along with cantaloupe packing facilities. The peanut facility shells 35,000 tons yearly for the edible market. His cantaloupe facility provides grading, cooling and shipping for his crop. “We also repack on a limited basis for other individuals and businesses in other times of the year,” Grimes adds. Grimes didn’t grow up on a farm. “My father died at age 36 when I was five years old,” he recalls. “I had a garden in my back yard, and at an early age, I knew I wanted to farm.” While in school, he spent his summer months working for others on farms. He got married in 1975 and worked at his father-in-law’s farm. He started growing more crops on his own after his father-in-law retired from farming. In 1990, he became a partner with a friend, H.C. Dodson, who was looking to retire from farming. 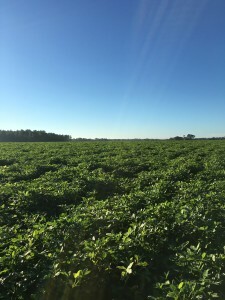 Dodson ran Docia Farms, the business Grimes now operates. His association with Dodson allowed Grimes to increase his acreage. “My operation has continued to grow over the years,” he says. Dodson died seven years ago. He and Grimes shared a similar farming philosophy. For instance, they fertilized for high yields. With irrigation, they made sure their crops never suffered from lack of water. They also were timely in applying products such as fumigants, insecticides, fungicides and herbicides that would help insure high yielding and high quality crops. At the state level, he attends the Georgia Peanut Achievement Club seminars. He is also active in Georgia Farm Bureau and the Georgia Fruit & Vegetable Association. He is a past member of the Georgia Agribusiness Council. In addition to the Georgia Peanut Tour, he has also hosted visits by members of the U.S. Congress and many other tours at his farm. Philip and his late wife, Jane, have three children, daughters Mandy and Brandi and son Andrew. Both Andrew and Mandy’s husband Gator Walker work full time on the farm. Philip says they are part of a very dependable work force. Andrew received the Outstanding Georgia Young Peanut Farmer Award from the Georgia Peanut Commission and BASF in 2015 and has been nominated as one of the state finalists for the 2016 Georgia Young Farmer’s Association Farm Family Award. View the 2016 Georgia Peanut Tour Photo Album.